There are Friends Groups right across the Borough from small urban parks to large open common land. Friends Groups are supported by the Council through their main contractor, idverde, with each Friends Group having it's own primary contact with the team of Community Managers. The Friends Forum acts on behalf of all Friends Groups and will liaise with both the Council and idverde over common and individual issues. It will support and assist in the development of volunteer policies and can offer Friends Groups financial aid on request. See financial policy for further details. Click here to locate Friends Group on map. The London Parks & Gardens Bromley Recorders Group has been researching the history of many of our local parks and green spaces in the borough. 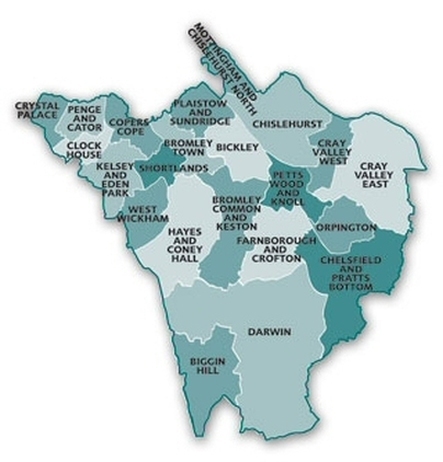 The group includes members of various Friends Groups and has published an online magazine entitled “Bromley: Historic Parks, Gardens & Green Spaces” with articles on six of such spaces. Click here to read more.